Even early on in McCay’s career, we can see evidence of his imagining alternative universes and possible worlds through a series of cartoons depicting historical figures living in modern times. The illustrations’ titles are a glimpse into the subject matter of these works: “If Shakespeare Should Come Back to Earth,” “If William Penn Should Come Back to Earth,” “If Nero Should Come Back to Earth,” etc. 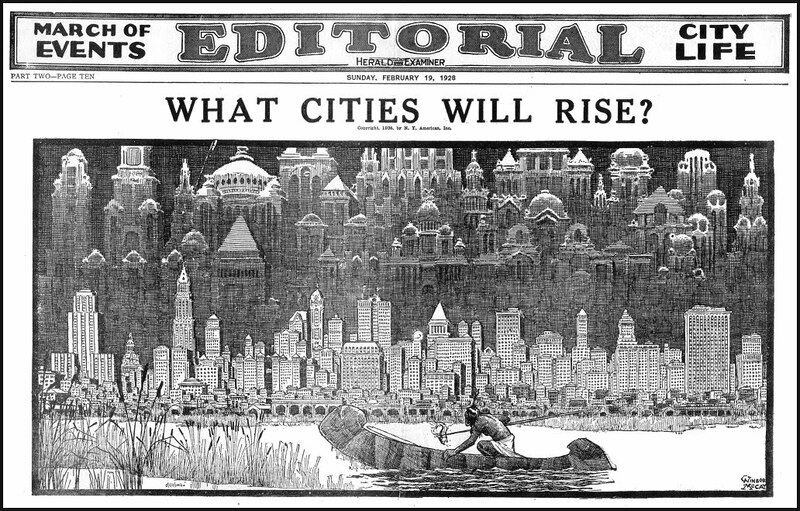 McCay’s newspaper fantasy illustrations are just that: phantasmagorical scenes of incredible scale that set the stage for the artist’s later dreamscapes. The “Midsummer Daydreams” chapter includes a number of variations on the “and then I woke up” theme, including multi-panel cartoons entitled “Midsummer Daydreams,” “Daydreams,” “It Was Only a Dream,” “Dreams of a Lobster Fiend,” and “Rabid Reveries.” More hallucinatory episodes follow with a full section of “Dream of the Rarebit Fiend” strips. With Little Sammy Sneeze the punchline changes. These gags place Little Sammy in a variety of situations where his sneezing upsets the order of things. A plough horse is frightened and bolts while moving a house on rollers into position, dismantling the house. The gravy at a formal supper is sprayed all over Grandpa. The simplicity of these strips made me laugh out loud repeatedly. Sammy’s “Ahh aw kaa CHOW” got me almost every time. Sermons on Paper presents a series of single-panel editorial cartoons with either visionary-technocratic or moralistic themes. 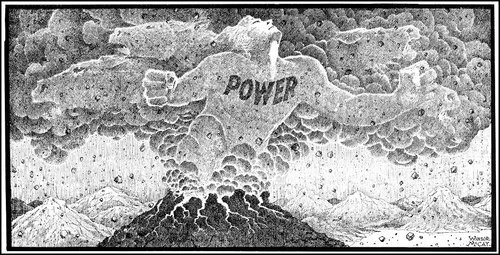 In these drawings, McCay departs from the clear-line style and renders his works with tightly hatched pen and ink, with careful attention to compositional balance and foregrounding. These dramatic renderings remain powerful to this day. 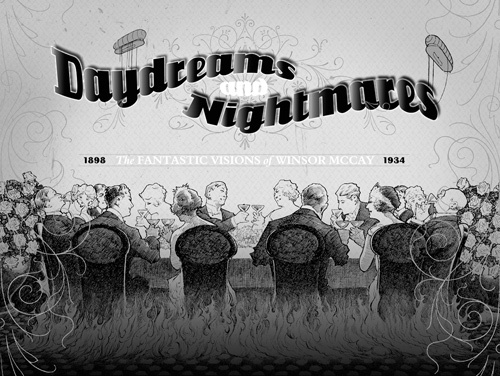 Two writing selections by McCay himself are included in Daydreams and Nightmares. The first, “From Sketchbook to Animation,” (1927) describes what is required in order to be a cartoonist. McCay speaks of the importance of being able to establish and maintain clear mental imagery to render accurate drawings on paper; constantly observing one’s surroundings attentively and mindfully, and cultivating a sound experience in basic draughtsmanship. McCay encourages cartoonists to seek out like-minded souls with whom they may work in complicity, so as to encourage one another. Don’t eat rich meals, draw all the time, and take note of current fashions and trends so as not to appear old-fashioned in your representation of reality. How timeless all of this advice is! 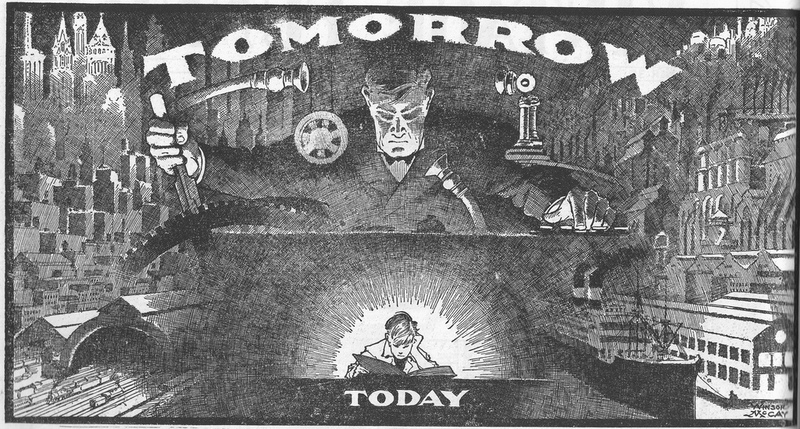 It speaks to today’s cartoonists as powerfully as it would have to illustrators working in the author’s day, nearly one hundred years ago. The next writing selection by McCay found in Daydreams and Nightmares is entitled “On Being a Cartoonist,” and is an excerpt from a letter written to Clare Briggs in 1926. The letter concludes with the pithy and profound statement, “Work! WORK! That is all there is to cartooning.” McCay ought to know; he is one who certainly walked the talk, as Gary Groth states in the introduction, contributing the equivalent of a broadsheet-sized strip for every day of the year—not to mention his prodigious output of thousands of hand-drawn cells for his animated features. All of McCay’s fine works stand the test of time. Although Daydreams and Nightmares is out of print, it can be found used, along with many other volumes containing reprints of McCay’s work. Reading this book let me to discovering Peter Maresca’s two volumes of reprints, Little Nemo in Slumberland: So Many Splendid Sundays! 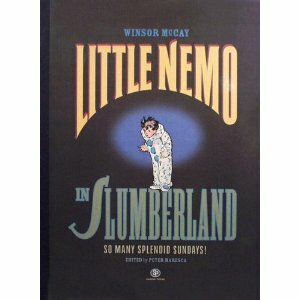 and Little Nemo in Slumberland: Many More Splendid Sundays! I found a copy of the latter in Legends Comics, Victoria’s finest “alternative” comic shop. Seeing the book and being able to turn its pages in my own hands was enough to drive me to finding a copy used ($125 new!). The full broadsheet-sized format (16 X 21 inches!) and the colour reproduction in this book are astounding. No wonder Maresca was awarded the 2006 Will Eisner Award (Best Publication Design) and two 2006 Harvey Kurtzman Awards (Best Reprint and Special Award for Excellence)! McCay’s work is also largely available in the Public Domain, with some excellent samples available on the Web. See in particular scans available at the Comic Strip Library and Golden Age Comic Book Stories.